¶ 3 Leave a comment on paragraph 3 0 Six of us besides the driver, seven trunks and several satchels are all piled into and on a one-horse four wheeled cab and whirled swiftly away to the Grand Hotel. We drive under the arches into a court perhaps 60 or 70 ft square, domed over with a glass roof, alight, up six or seven steps onto the terrace facing the salle de lecture (reading room) the only reception room we can find) [sic] thence up a long winding stairway to our apartments on the first floor, hansomely [sic] furnished and facing the great and magnificent Royal opera house, now nearly finished, the most elegant and grand specimen of architecture that I have ever imagined and which I shall examine in detail during our next visit to this city. Possibly the intent here is “bunkum,” the slang term referring to nonsense. The writer does not know the White Lady tradition at Schonnbrunn, nor has he ever been able to ascertain anything definite about her history. But there is plenty of documentary evidence, as well as a wonderful array of records concerning the White Lady of the Hohenzollerns who makes her appearance In the old palace at Berlin whenever death Is about to overtake a member of the reigning house of Prussia. 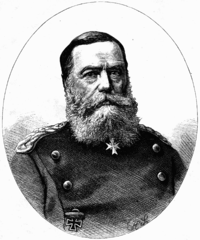 The late Emperor Frederick In particular was greatly interested In the matter and collected all the evidence that he could upon the subject for the purpose of depositing it In the archives of his family; Perhaps the most Important piece of testimony in this connection are the sworn statements signed by Prince Frederick of Prussia and a number of his fellows, to all of whom the White Lady is declared to have appeared as they sat together on the eve of the Prince’s death at the battle of Saalfeld in 1806. Moreover, Thomas Carlyle went to no little trouble to procure evidence when writing the history of Frederick the Great that the White Lady had appeared to that famous monarch on the eve of his death. Randall is referring to Tad Lincoln (1853-1871), the youngest son of Abraham and Mary Todd Lincoln. This question mark is inserted by Wade. He wondered, I bet, as I am, how the stairs got transported from Jerusalem to Rome although they are supposed to have been brought back by Emperor Constantine’s mother St. Helena in the 4th century. Website content © Wade Travel Journals 2019. All rights reserved.